Anyone feeling angry? I sure am. Trump, Theresa May, Brexit, the widening gap between rich and poor… there’s a lot to be angry about now. 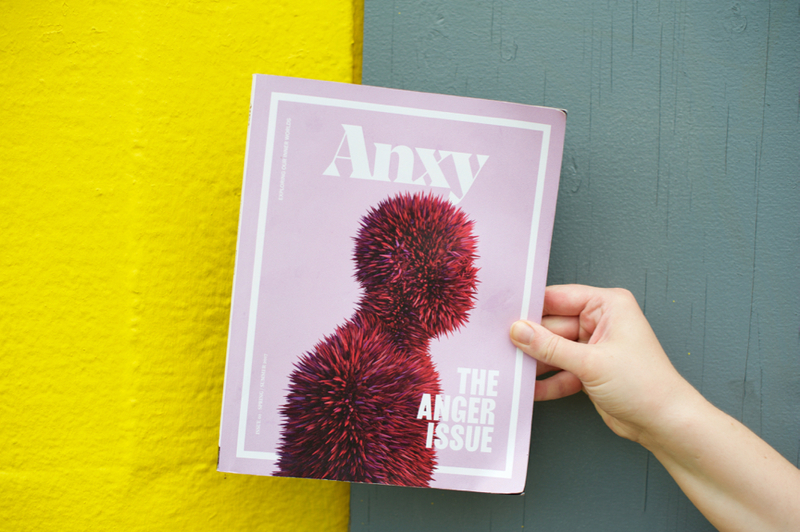 Anxy magazine’s The Anger Issue hit the shelves at just the right time. 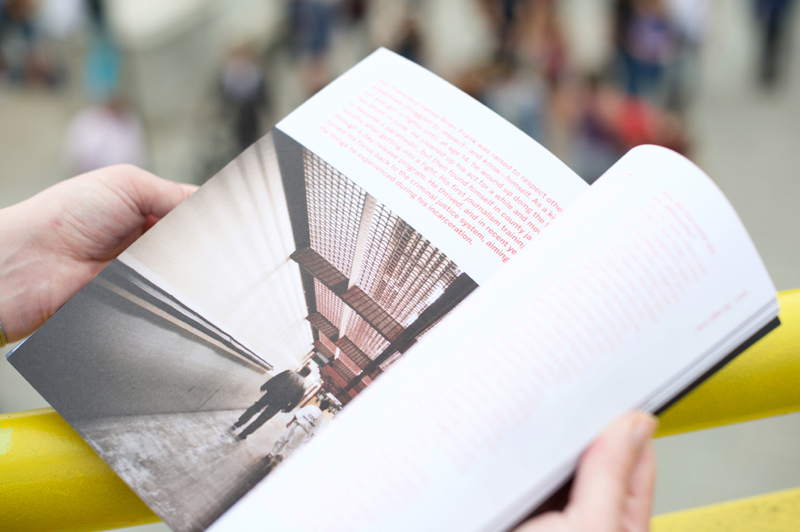 Anxy magazine is a project funded by Kickstarter backers, based in California. 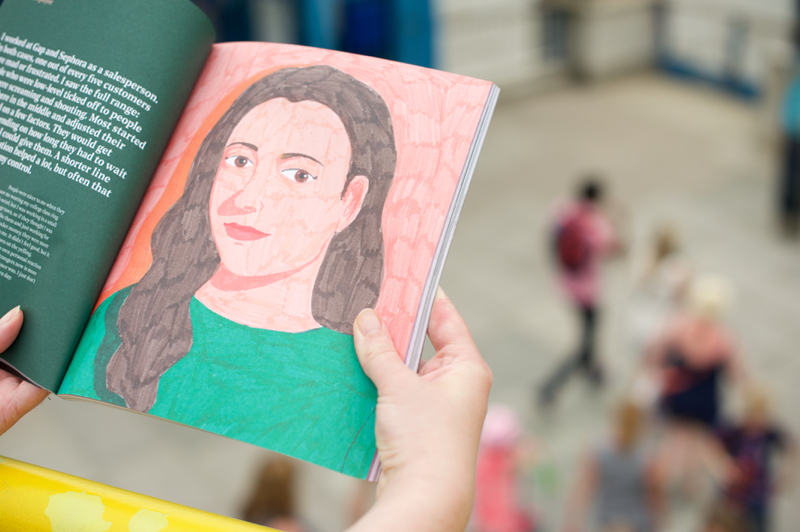 It aims to smash the stigmas around mental health, with The Anger Issue as the first issue. 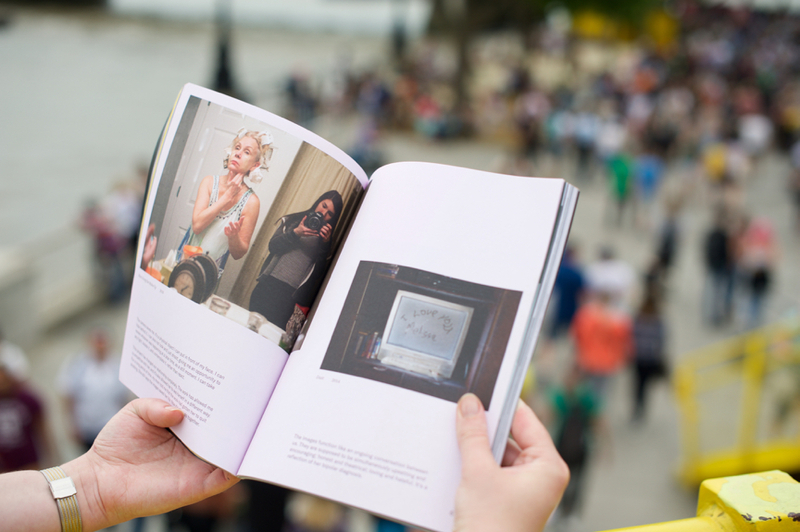 A whole magazine issue focused solely on anger, undisguised by other themes, feels rare and bold; anger is a controversial emotion that our society allows us to feel (sort of) but rarely express openly and vocally. Anxy looks at many different forms of anger, and the affect on our mental health in bottling it up, or in not understanding the source of our rage and taking action. We’re given a close up view of Kate Speer’s journey from psychiatric hospitalisation to recovery, driven by anger at medical professionals’ failure to rehabilitate her into society themselves. The anger of Turkish Kurds, living ‘like refugees’ in their own country. Retail employees’, restaurant managers’ and hospital nurses’ experience of having people’s anger directed at day after day. 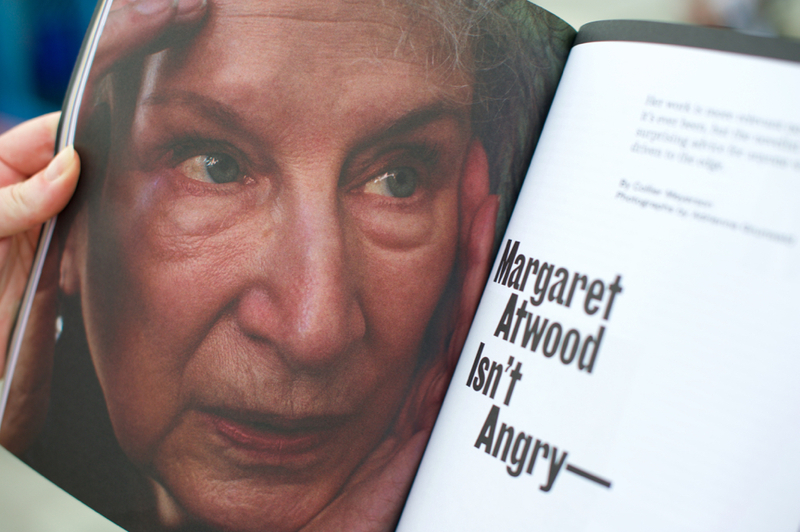 And Margaret Atwood’s advice for those who feel driven to anger at the state of current events. I had assumed that the sheer amount of anger in Anxy would overwhelm me, and perhaps even increase my own anger. But it was cathartic. Reading others’ experiences of anger helped me feel less alone with my anger and removed some of the shame attached to the emotion. Healthy expressions of anger are marginalised, with women expected to contain and diffuse their anger, and men’s typical outlets being anger and aggression, so I was particularly relieved to read ‘Gaslighting: A Hate Story’, ‘Between the Binary’ and ‘Removing the Mask of Masculinity’ probing into the binary gulf in gendered experiences of anger. 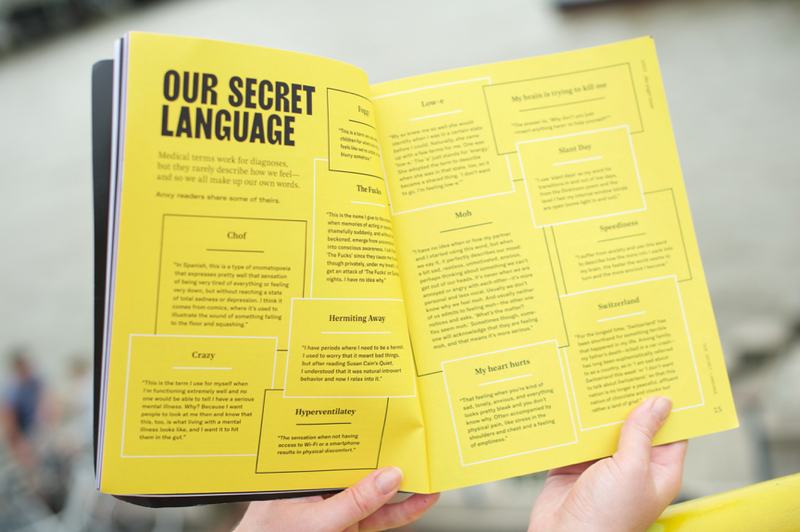 The writing within Anxy is human, compassionate, rage-fuelled and frustrated. Anxy forced me to take a heavily critical look at society’s inability to incorporate anger into an emotional spectrum, untarnished by shame. I cannot wait for the second issue.